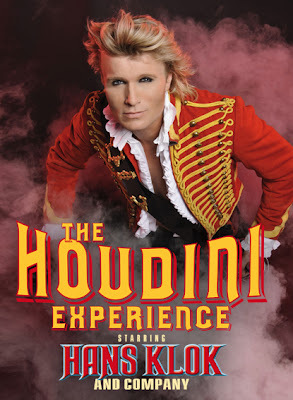 Hans Klok talked a lot during the show, which was fine, and he tried to explain the Houdini part of the show as well. Apparently I had never heard of Houdini before, and those who are like me can go here for the wiki version of what this legendary magician is all about. I guess we probably shouldn't compare Hans Klok's show with Houdini's different experiments, as the show's just a glimpse into the mysterious world of Houdini's. I was particularly impressed by the acrobats' shows, especially that of the Chinese acrobat (sorry I didn't catch his name). I know there are lots of such acrobats, especially in a country like China, but that doesn't make him less amazing! There was also a couple performance (again, I don't remember their names) and that one's also absolutely stunning, if not a little inappropriate for children (or, was I thinking too much? :P ). All in all it's a really great experience and I think illusion shows are definitely worth going to, at least once in a life time.